Chamber Chatter is full of event details and business deals which aim to keep you in the know! 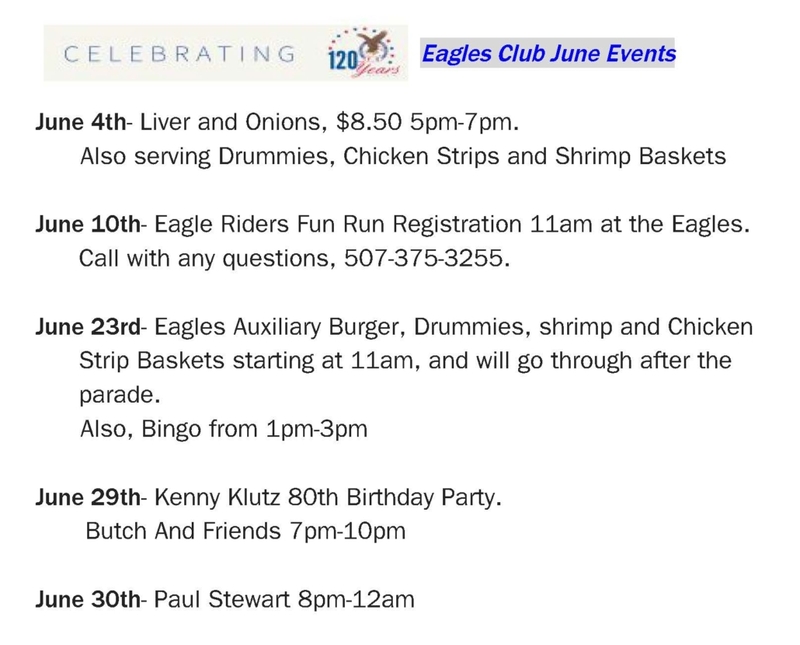 June is a very busy month with a significant number of events being held which show the citizens of the area that St. James is a vibrant and very active community. 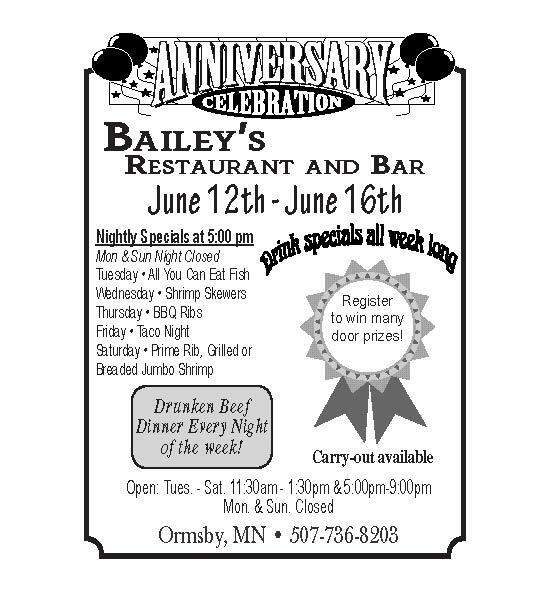 A special thank you to all of the volunteers that have and will spend a significant number of hours preparing for a whole host of activities to take place this month and thanks to all of the volunteers on the Railroad Days committee and the other events that take place during the month of June. I think residents would be surprised at the number of hours and meetings that happen in preparation of the activities for this month. What makes these events successful is not only the financial funding from the business community and service organizations but also the support which is given to the events by the participants. 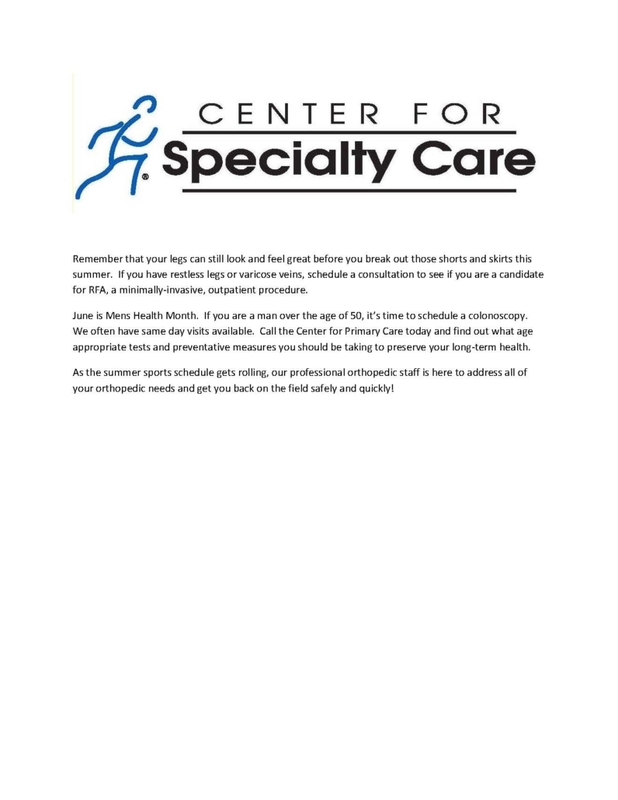 Many individuals also benefit from your participation in the activities. From the Rotary Cakes for Kids, where the proceeds are used to fund scholarships so that students can participate in the summer activities to the St. James Community Golf Invitational, where the proceeds are used to fund the School District 840 Foundation, St. James Rotary Projects and the St. James Area Chamber of Commerce. 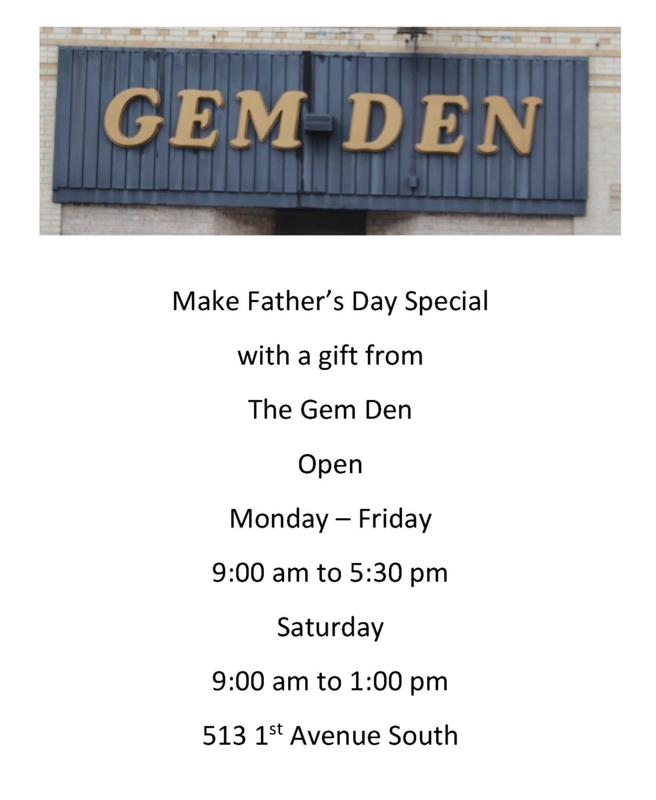 By shopping locally you are financially helping the business community in its support of not only the activities being held in June but also the many silent auctions and benefits that take place during the year. The Chamber welcomes its new members: Fraternal Order of Eagles, Massage by Jennifer, St. James Youth Softball Association and Bailey’s Restaurant. 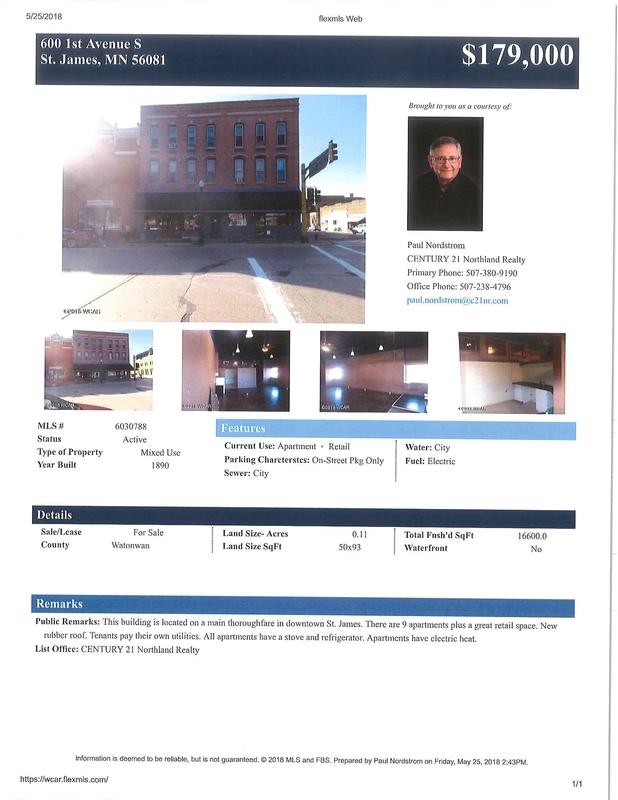 Four more places that you can spend your Chamber Bucks. June 6 – American Lung Association Lunch and Learn held at the Watonwan County Human Services Community Room. Anyone with Kids are encouraged to attend 11:30 a.m.
June 10 – Cultures United at the First Presbyterian Church at 12:00 p.m. Featuring food from Mexico! Free Will Donation. 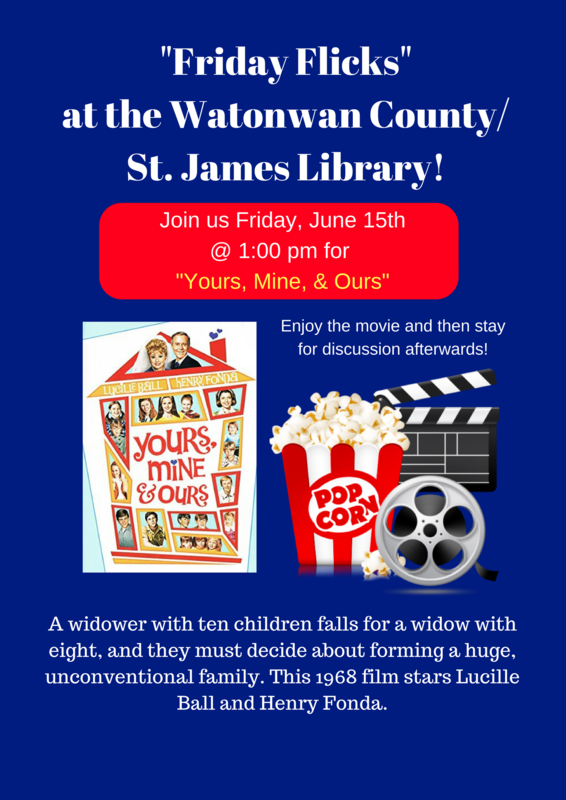 June 13 – Friends of the St. James Library present: Author Joan Jacobson at 6:30 p.m.
June 15 – “Friday Flicks” at the St. James Library showing, “Yours, Mine, & Ours” at 1:00 p.m.
June 17 – Father’s Day BINGO by St. James Catholic Youth held at Marian Hall. Bingo Blitz at 12:30 p.m. Early Bird Bingo. 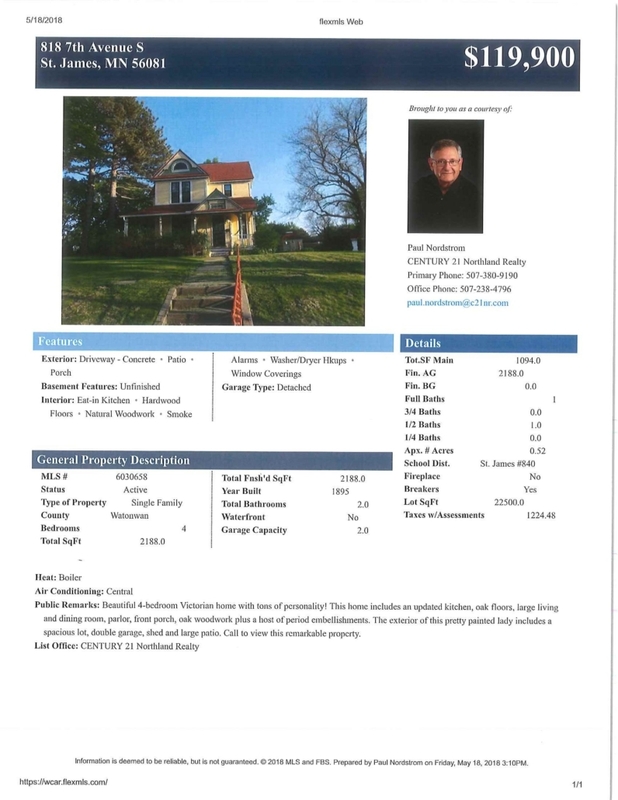 Advance Tickets on Sale at Parish Center. June 19 – Railroad Days Kick off at South Creek Golf Course. 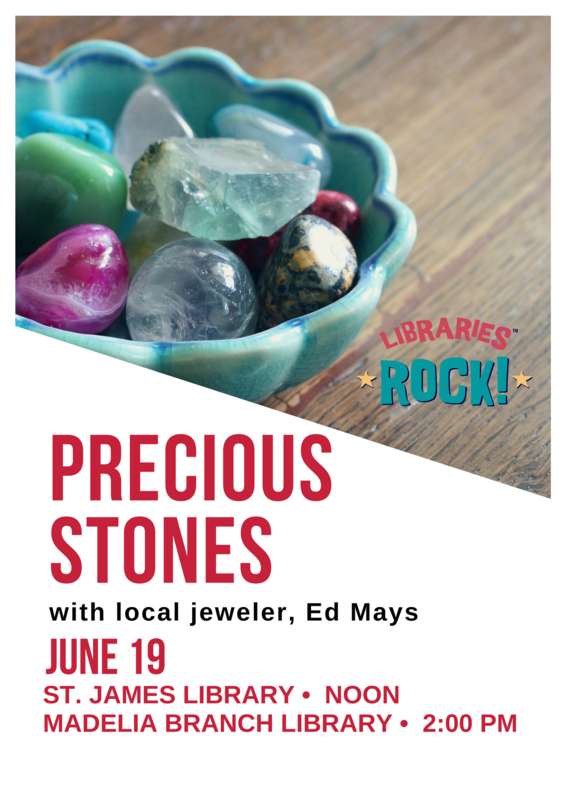 Beer Tasting and Silent Auction from 6:00 p.m. – 8:00 p.m.
– Precious Stones with local jeweler, Ed Mays at the St. James Library 12:00p.m. 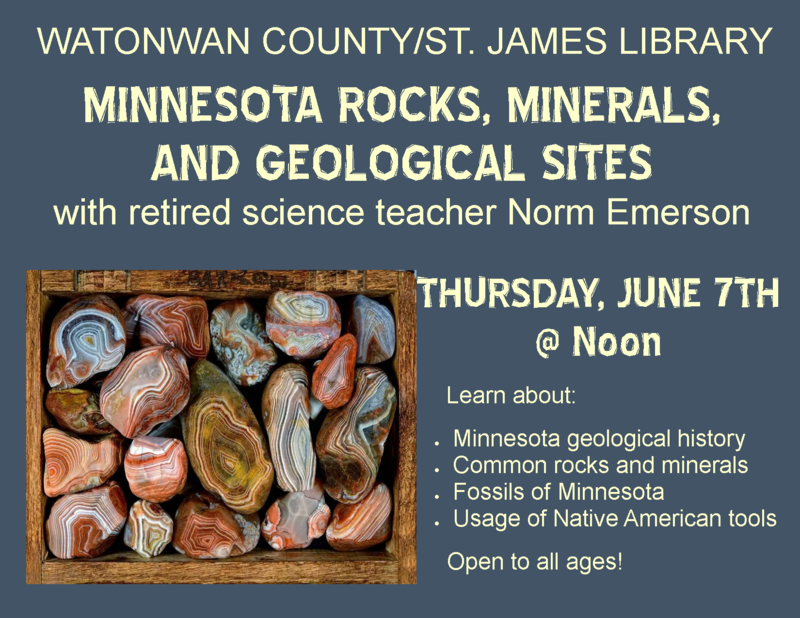 June 20 – St. James Chapter Watonwan County Historical Society – Open House 1:00 pm to 5:00 pm. June 21 – Friends of the Library Book Sale at the Library from 10:00 a.m. to 8:00 p.m./ Venta De Libros 10:00 a.m. to 8:00 p.m.
James and the Giant Peach – 2:00 p.m.
– First Lutheran Church hosting Community Meal – Free Will Donation. Please use the north door. 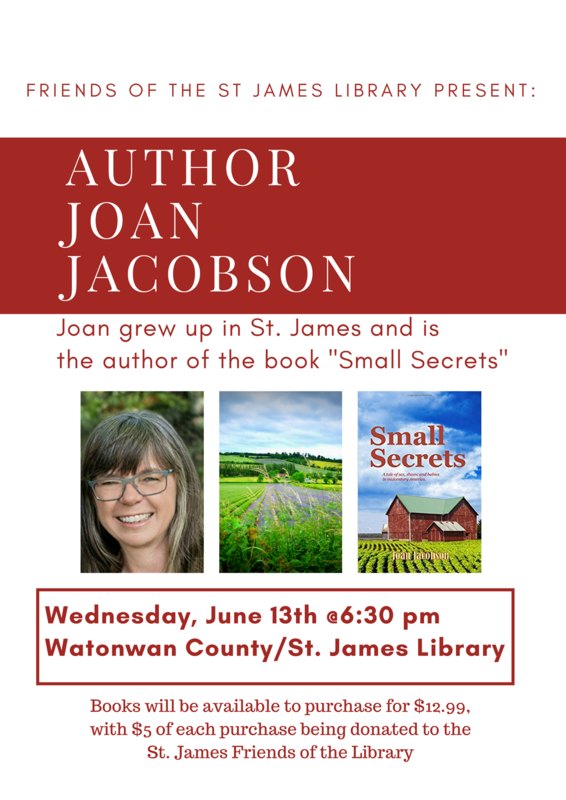 4:30 p.m.
– Railroad Museum – Rail Run and walk – 5:00 p.m.
– Model Railroad Club Open House 7:00 p.m. – 9:00 p.m.
June 22 – Friends of the Library Book Sale 10:00 a.m. – 5:30 p.m. / Venta De Libros 10:00 a.m. – 5:30 p.m.
– South Creek Golf Course hosts the St. James Golf Invitational at 11:00 a.m.
James and the Giant Peach – 7:00 p.m.
James and the Giant Peach – 10:00 a.m.
– Friends of the Library Book Sale 10:00 a.m. – 2:00 p.m./ Venta De Libros 10:00 a.m. to 2:00 p.m.
from 10:00 a.m. – 4:00 p.m.
– Princess Theater – St. James Area Foundation – Meet and Greet with refreshments from 10:00 a.m. – 4:00 p.m.
– St. James Chapter of Watonwan County Historical Society – Open House 1:00 p.m. to 5:00 p.m.
– Model Railroad Club Open House 10:00 a.m. – 5:00 p.m.
– Fraternal Order of Eagles,Eagles Auxiliary Burger, Drummies, Shrimp and Chicken Strip Baskets starting at 11:00 a.m. going until the Parade. 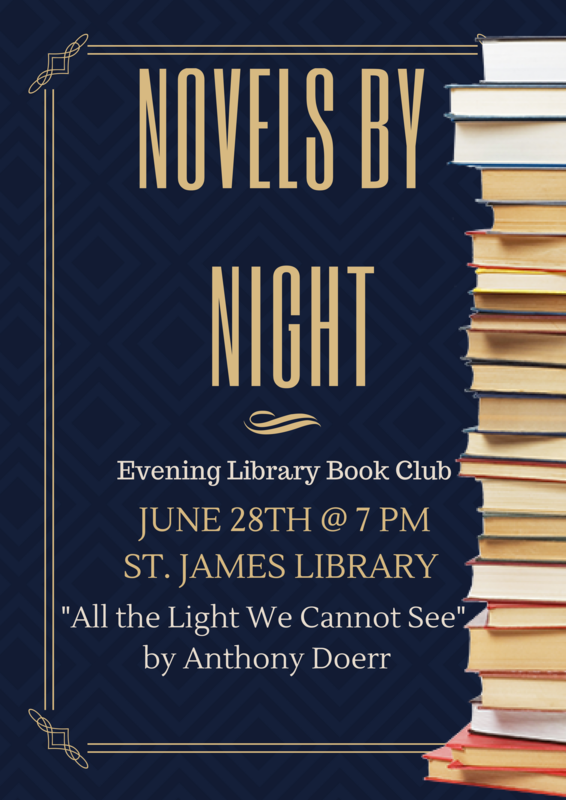 June 24 – Model Railroad Club – Open House 1:00 p.m. – 5:00 p.m.
June 28 – Novels By Night at 7:00 p.m. “All the Light We Cannot See” at St. James Library. June 29 – Watonwan County Fairgrounds – Watonwan County Relay for Life from 4:00 p.m. to Midnight.